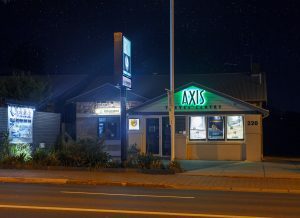 Since 1978 , Axis Travel Centre has invested heavily in strong product knowledge, accreditations, employing and continually training new human staff to deliver to our clients the best solutions, options with quantifiable and guaranteed travel arrangements . After 40 consecutive successful years, we think we have seen most of what life has to offer , assisting clients through both joyous and disastrous situations, through strikes, war escapes, evacuations, emergencies , airline, agency, cruise line and supplier financial collapses and sifting through complex travel industry conditions, disturbing website scams and rescuing stranded travelers. To celebrate our 40th Anniversary, we have decided to have a bit of fun (or is it called “escapism”) and celebrate 2018 with a small promotion. Axis Travel has created a bit of fun to promote our celebration day, throughout 2018, that merges gifts from other iconic influential lifestyle artists who are also celebrating their Anniversaries. Axis Travel Centre clients throughout 2018 will receive ……. FREE “Security Umbrella” (monetary protection in case of Airline, Supplier or Agency collapse*. A FREE Monty Python” Live at the Hollywood Bowl” DVD set per booking*. We don’t expect the future to be much different ! One thing is for certain. The intangible elements of time , civility and the simple human personal touch are elements that no computer, no anonymous toll free phone number or website or inexperienced person can ever emulate or give you a credit slip back to you. We listen to humans, assist humans and deliver to humans a level of travel advice, options, securities and ongoing human empathy which is verified via our current existence and achieving over 39 Travel and Business awards since 1978. We are proud of what we have done and what we do and what is next, which is to celebrate our 40th Birthday in 2018 , extending to our valued clients our FREE and exclusive “SECURITY UMBRELLA ” © * protection package* to protect our clients against the financial default of an Airline, Tour company, Cruise line or agency. This is a major investment made by our management team to ensure that we not only deliver travel expertise and services to our clients but to also protect their monies to the highest levels available. As of July 2018, we were the only Travel Agency in Australia with the “SECURITY UMBRELLA ” © * protection package* which no Airline, Supplier can ever offer . So think about taking a risk or receiving our FREE “SECURITY UMBRELLA ” © * protection package*when you invest in booking travel ! We specialize in delivering quality travel for people who value time, Intellectual Property respecting mature expert advice and professional services . PRIORITY PORTFOLIO TRAVEL™©-by INVITATION ONLY. Being a past member of the American Express Travel Network for over 30 years and winner of every available American Express International Travel Agency and Management award available worldwide, we use this AMEX foundation in also focusing on Titanium, Centurion, Platinum, Gold and VIP clients who expect and do receive the highest level of dedicated meticulous expert advice and professionalism. This is a rare quality these days, so within Axis Travel Centre a separate client database called “PRIORITY PORTFOLIO TRAVEL” ™© is managed by travel Industry veteran Max Najar via an Invitation Only procedure. For all clients , we excel in methodical planning of Itineraries, mature advice from Travel Industry accredited professionals who use their expansive toolkit of skills, experience and training to efficiently and effectively complete a simple travel booking or spend extra time to construct complex but chronologically logical travel itineraries, whilst giving clients relevant travel options. With a client database that achieves “over 83% of clients from repeat clients or new client referrals” ,we spend far less money and time on marketing , but re Invest this time and money into ongoing staff training, Insurance policy protections to protect clients monies and ultimately delivering “better than expected” travel components and “nice surprises” to our clients.